Yesterday was ‘Crazy Hair Day’ at Essley’s school, and until the night before, I didn’t put much thought into what we’d do. I figured I’d just put a bunch of braids in her hair, until I decided to do a quick search for ideas and was blown away by the seriously next level creativity I saw. 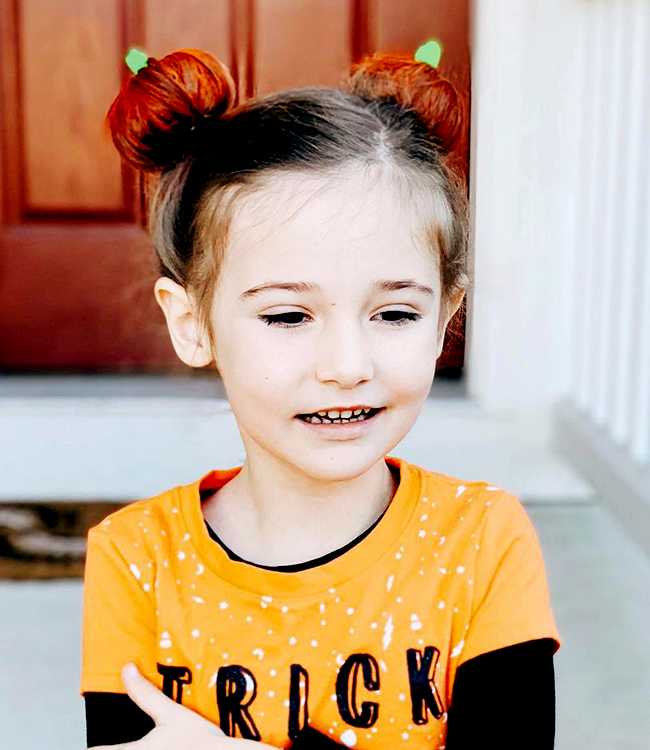 I was actually really inspired, and ended up doing mini pumpkin buns (which she loved; there may have been a small fight when it was time to wash out the orange hairspray). 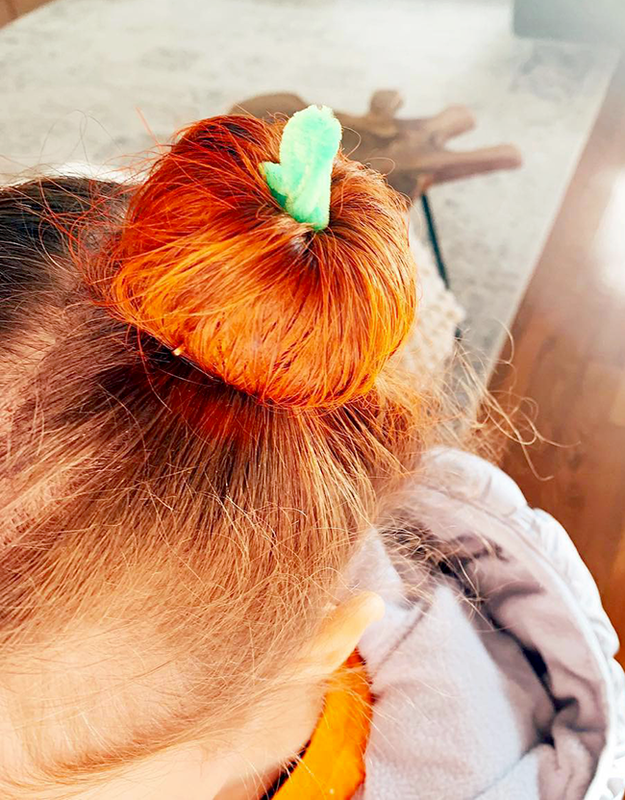 But there were so many other fun ideas I came across that I decided to put together a list of them for you guys, in case your little ones have wacky hair days coming up at school as well. 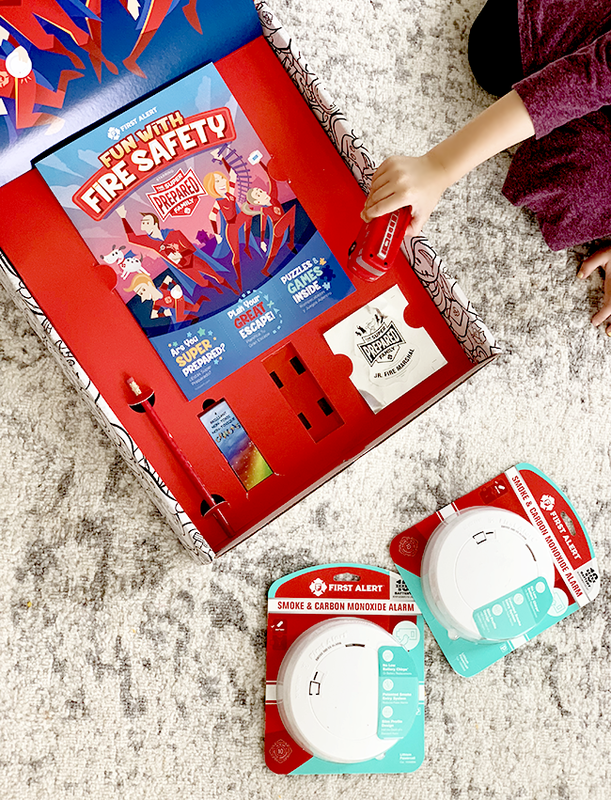 Last spring, my daughter came home from preschool wearing a fire hat, and excitedly told us how she got to meet real firefighters, see a fire truck up close, and most importantly, learn more about fire safety. 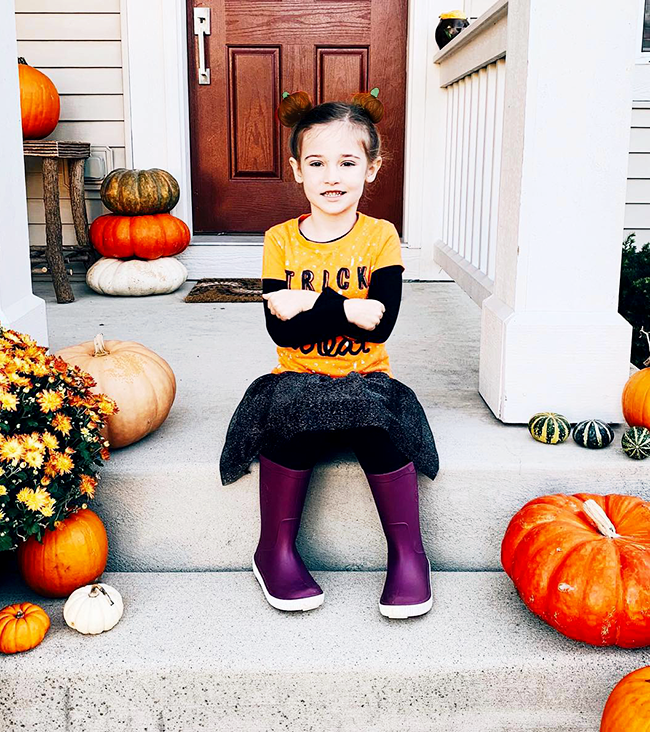 We have always been as prepared as possible for a fire or home emergency, but her newfound interest inspired us to really amp things up and make sure our entire family was regularly involved in discussing and learning about ways to make sure we’re not just prepared, but super prepared. With October being Fire Prevention Month, I thought it was the perfect time to share with you guys the things we do in our own home and as a family to protect ourselves from fire. 1. Get the whole family involved. I’m putting this one first because it is so important! Even though our babes are little (2 and 4), we make sure to include them in the different aspects of whole home safety. We try to make them a part of as many of the 10 tips I’m sharing here as possible. There is truly safety in numbers when it comes to whole home safety. 2. Plan escape routes. 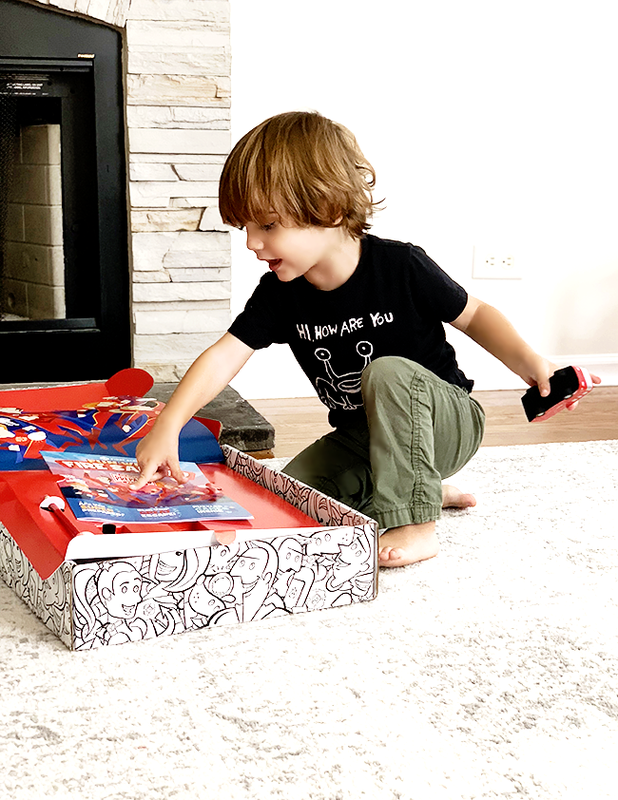 My husband and I planned escape routes as soon as we moved into our home, but we recently pulled everyone in the family together and went over them again with the little ones present, discussing how and why we chose the escape routes we did. 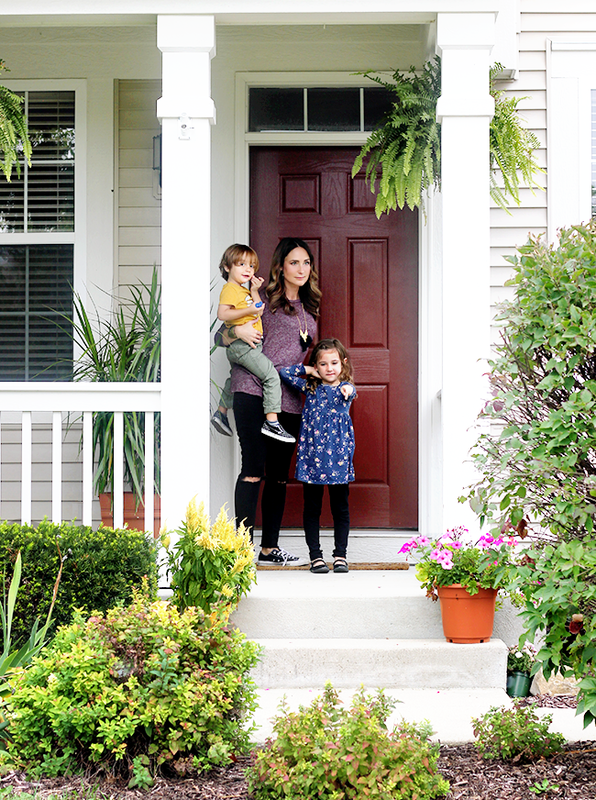 We walked through our house and talked about all of the different possible exits (including both doors and windows) and the best ways to get to the exits. We also drew out “fire escape treasure maps” as our daughter calls them (floor plans). 3. Install smoke and carbon monoxide alarms on every level of your home. This includes the basement if you have one, as well as an alarm both inside and outside of every bedroom (and/or sleeping area). Fires spread fast, and an alarm is one of the best ways to get an early warning. Both of our kids know where the smoke detectors are in our home and what to do if one goes off. 4. Make sure alarms are up to date and working. 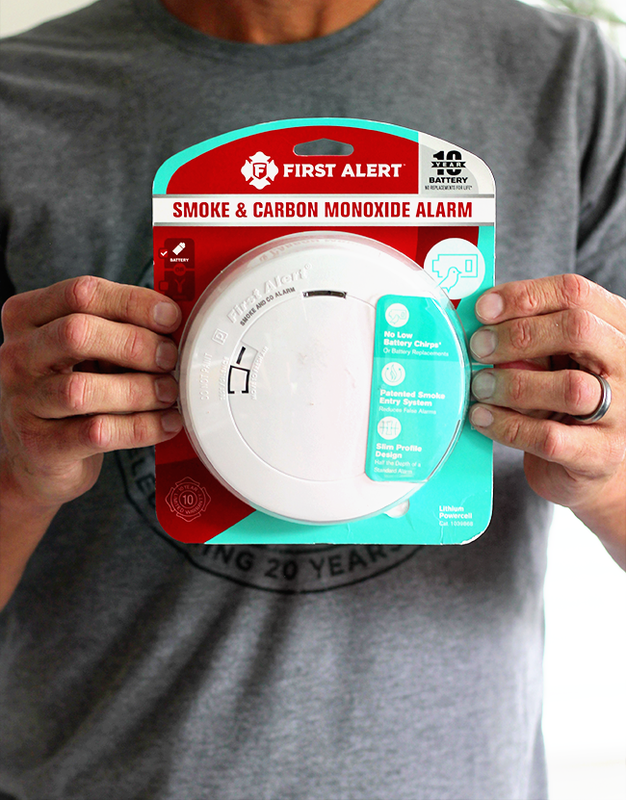 When we first moved into our home, we noticed that the smoke detectors were over 15 years old, and one of the first things we did was replace them with First Alert Combination Smoke and Carbon Monoxide alarms. It is important to replace alarms every 5 to 10 years, and to either replace the batteries every 6 months or upgrade to First Alert’s 10-year sealed battery alarms. We also regularly test our alarms to ensure they’re working properly. 5. Choose a meeting place outside. Our whole family knows that in case of fire or other emergency, once outside we meet at our mail box at the end of our driveway. It is important to decide on a common place outside that is a safe distance from your home where every family member will immediately go. 6. Practice your escape. Every few months, we have pretend fire escape and practice the different escape plans we developed in our home. And when they get a little older (and are less easily frightened), we will have true fire drills, including during the night. 7. Make sure everyone in your family knows how to call 911. Our daughter took a safety class over the summer that taught everything from how to deal with strangers to what to do in case of a fire. She also learned how to call 911, but didn’t understand how to do it from a locked cell phone. We made sure to teach her how to do this, while also making certain she understood that you never call 911 unless it’s a true emergency. As soon as we feel that our 2 year old can comprehend it, we will teach him as well. 8. Have working fire extinguishers. We (obviously) keep these out of reach of our kids, but they know where they are an how they work. We live in a 2 story home and have 3 (one on each level including the basement). 9. Protect again carbon monoxide too. I mentioned in #3 above that it’s important to have fire and carbon monoxide alarms on every level, but 40% of homes do not have a single CO alarm. In the United States, carbon monoxide is actually the #1 cause of accidental deaths, and it cannot be seen, heard, or smelled. That’s pretty scary. We have First Alert Combination Smoke and Carbon Monoxide alarms installed throughout our home so we’re protected against both fire and CO.
10. Talk about it. No matter how hectic things are or how busy our days are, we always have dinner at the table as a family, and we take that time to talk about things that involve us a family. We make sure to discuss fire and overall home safety a couple of times a month at dinner, so our little ones remain aware of its importance. As I said in my first tip, there is safety in numbers when it come to being super prepared in the case of fire. It is a truly a family affair! For Fire Prevention Month (and all year long! 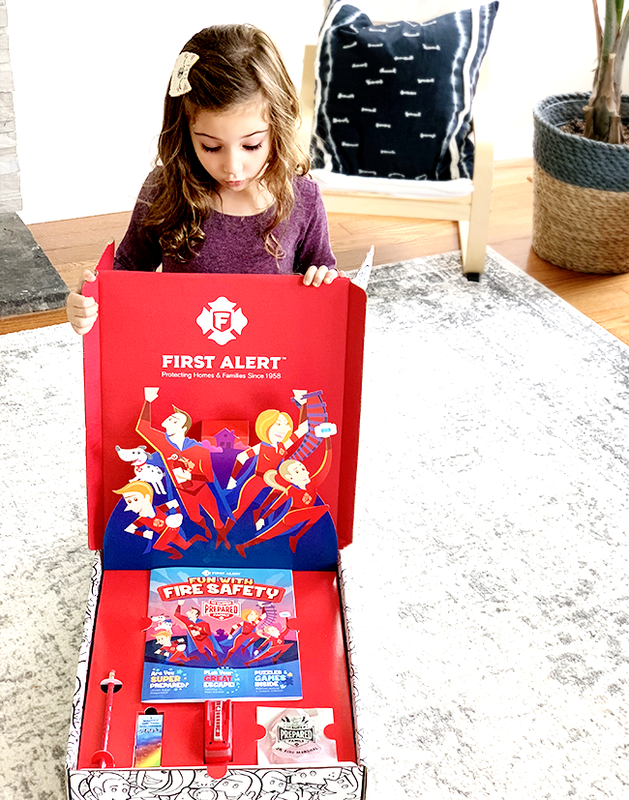 ), First Alert and its Super Prepared Family want to make sure your family is super prepared when it comes to whole home safety. You can learn more in the video below and at this link. If there are other ways you and your family prepare yourselves in case of fire or other home emergency, please share in the comments! These are not my dogs, but I think seeing them at the end of a business trip or even after a busy day would make everything worth it! Until next time, Good day, and good dog! Thank you Hava Heart for helping to get the word about Halo supplements for dogs. We’re happy to see this pack of Havanese rescues announce its love of our 100% WHOLE ingredient supplements to its Instagram fans. Learn more about Halo supplements and see which one is best for your dog. Our supplements are also available in PetSmart. Now I’ve been guilty (more than once) of buying everything in the store EXCEPT for the one thing I came for (I call it the $ 200 gallon of milk), but I’ve never picked up puppies! Until next time, Good day, and good dog! 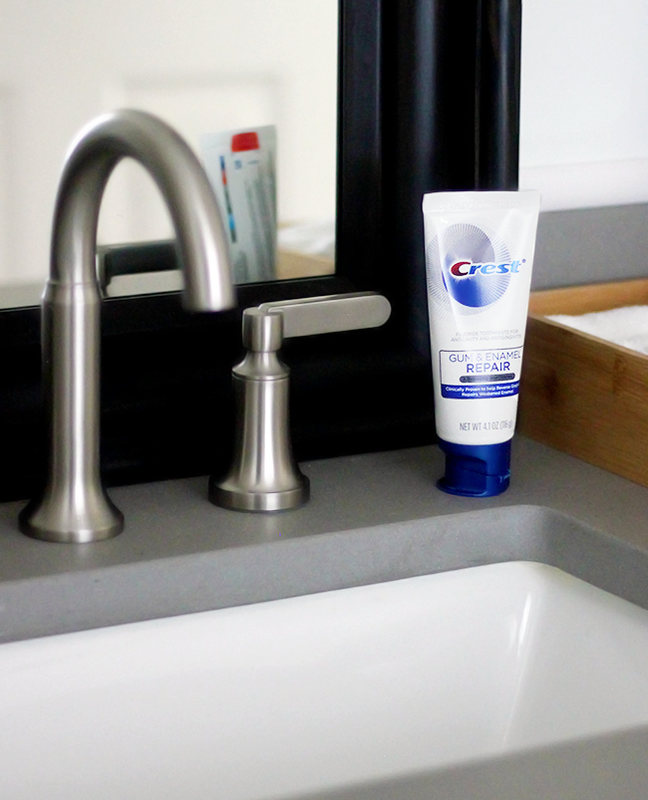 This blog post is sponsored by Crest. 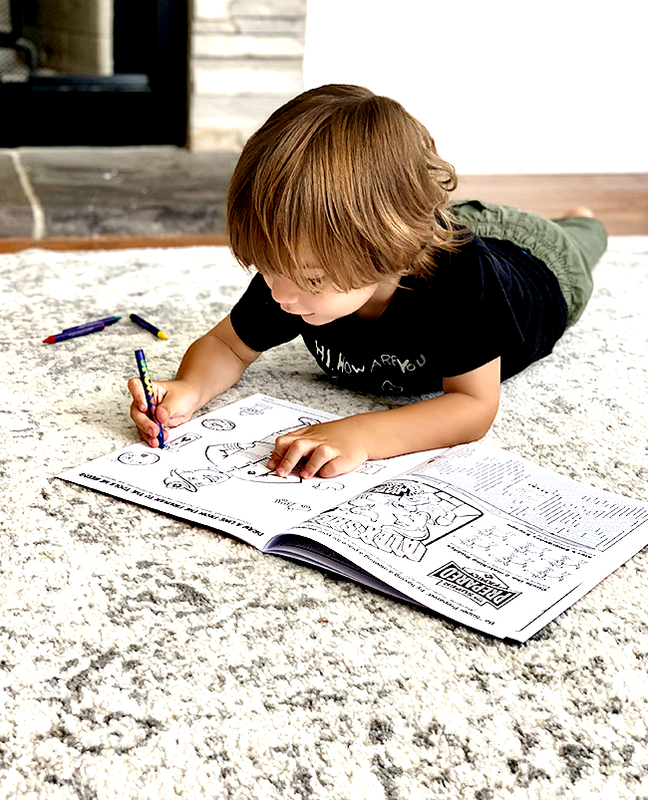 Thank you for supporting the brands that help make Bubby and Bean possible. Health and wellness in general has been a theme for me in 2018, both here on the blog and in real life. I don’t think there is any one specific reason for this, but at the end of last year, after feeling overwhelmed with stress, constant sickness in our house, and some really intense life experiences with loved ones being ill, something clicked and I realized that I no longer had a choice – I needed to be consistent about focusing on keeping my body/mind/spirit (and, of course, those of my little ones too) at the best they could be. Included in this overall wellness, of course, is dental health. You guys may have noticed that I’ve been posting about taking care of teeth/gums/mouth quite a bit here and on my social accounts this year. And that’s because I keep learning more and more, both from my dentist and from studies I’ve read, about how much dental health is connected to the health of the rest of our bodies. I’ve really committed to focusing on taking the absolute best care possible of my teeth and my family’s teeth for this reason. And today and over the next few months, I plan to share with you some of my tips and other things I’ve learned and discovered about keeping our teeth and gums as healthy as possible. Today in our dental health journey (I feel like the beginning of one of those old school 1980s educational film strips saying that; anyone else remember those or am I just old? 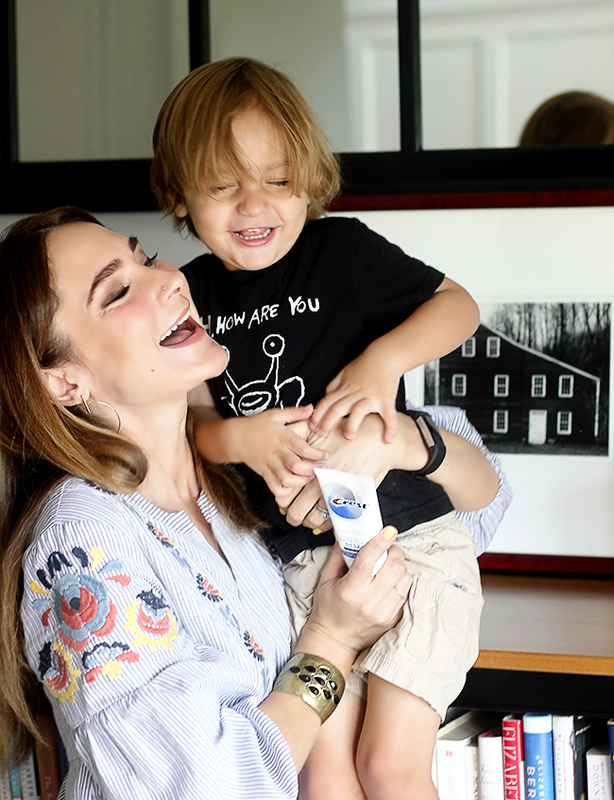 ), I’m going to share some things I’ve learned and that we’ve been implementing about ways to protect and repair the enamel on our teeth, while caring for our gums as well. 2. Use a soft toothbrush. It can be tempting to want to use a hard bristled brush and go to town scrubbing your teeth, but my dentist told me that it’s always best for both your enamel and gums to use a soft toothbrush and to brush gently. 3. Chew gum after meals. If you can’t brush or rinse right after a meal, my dentist suggests chewing a piece of sugar free gum. Chewing gum help stimulate saliva production, which as I mentioned above helps wash away bacteria and leftover food. 5. Avoid sweets. This is admittedly my least favorite way to care for my teeth, because I love sweets. I mean, I love them. Unfortunately, bacteria love sugar as much as I do. When you’re eating lots of sweets, bacteria thrives in your mouth and produces acids that break down the enamel. Cutting down on sweets, as brutal as it may be, is one of the main ways I’ve been taking care of my mouth and overall health this year. 6. Avoid acidic food and drinks. Coffee and all things lemon are at the very top of my favorite things list, so this ones almost as tough for me as the sweets. But acidic food and drinks can wreak havoc on your tooth enamel. My compromise is to make sure I brush or rinse with water immediately after consuming food or drinks with high acid levels. So there you have it friends – my tips (and my dentist’s!) 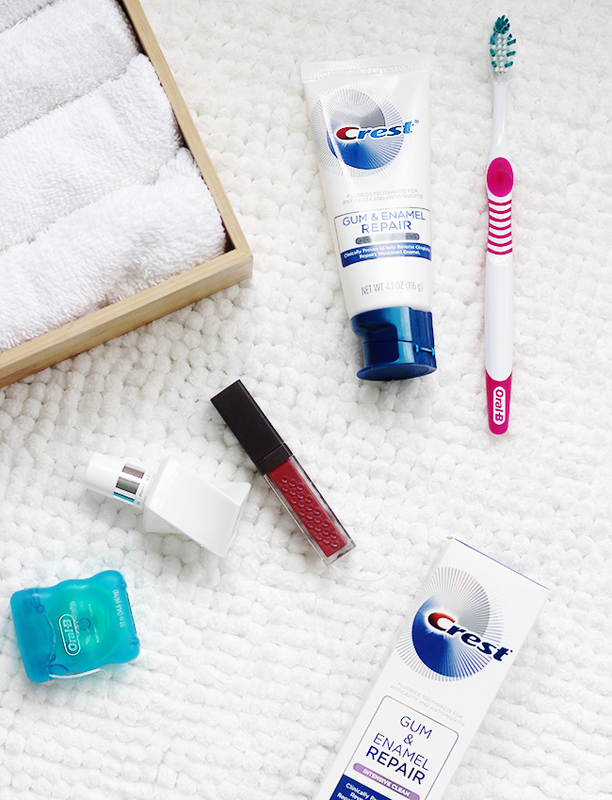 for ways to better care for your teeth’s enamels and gums. If you have any tips I may have missed, I’d love to hear them! Oh, and as I mentioned above, today, September 28th, through October 1st, you can save $ 3.00 on Crest Gum & Enamel Repair along with Crest Gum Detoxify, Crest 3D Whitening Therapy, and 3D White Brilliance at your local Walmart. Woohoo! Just check your Sunday (September 30th) newspaper for a $ 1.00 brandsaver coupon to use for one Crest Toothpaste (3oz. or more) OR one Crest Kid’s Toothpaste (3oz. or more), and click here for a $ 2.00 Ibotta Rebate that is good until November 15th.